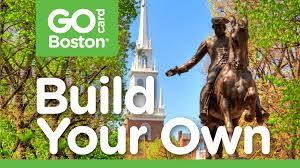 Your group is welcome to experience the Freedom Trail, however small or large! Walk the Freedom Trail through History! New England’s most popular attraction and acclaimed historical trail! Visit 16 of America’s most historic sites along Boston’s world famous Freedom Trail - a unique collection of museums, churches, meeting houses, burying grounds, parks, a ship, and historic markers that tell the story of the American Revolution and beyond. Groups will find countless ways to experience America's rich history along the Freedom Trail from official historic sites visits to walking tours there is something for everyone!